Compliant with Montana law, CDL holders are required to certify the type of commercial operation they’re engaged in. Failure to keep your medical certification status information current with the state may result in the downgrade of your interstate CDL to a base, Class D license. CDL Self-Certification Classification and Medical Documentation – download the form here from Montana Department of Justice Motor Vehicle Division. Copy of your valid DOT medical card. Enlarge the copy to ensure that all information is legible. my wife has a valid NC cdl and medical exam card still valid she wants to transfer cdl to a Montana licence does she have to have a fresh physical if her NC one is still valid ? 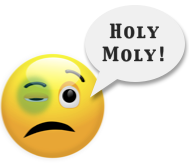 I was just wondering if you can get a montana cdl or pass a montana dot physical while perscribed the medication suboxone? My CDL expired in May and I have to get it renewed. Will I still require a DOT physical? Not if you have a current medical card. I currently have a Class B license, and I no longer drive for a living. But I do not want to loose the CDL status, just in case. Do I still have to do a DOT physical, which now cost $140? 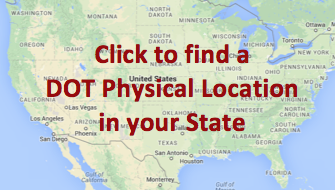 If and when I need it again, I can have the employer pay for the DOT physical. I understand that I will need to have it when my license renews correct? Your license will be downgraded if you don’t keep your medical card current. Some DOT doctors charge a lot less than $140 for a DOT physical. Your local drivers license department may allow you to change your self-certification to an “excepted” category while you are not driving, so you won’t need a medical card: Then before you start driving commercially again you will have to change to “non-excepted” and get new medical certification. There is no grace period. You cannot drive on an expired medical card. As far as downgrading your license, each state has a different time period and process, so contact your local drivers license department and see what they have to say. If you have a cdl and you drive intra-state only with the vision waiver, then you should already have a medical certificate. If the company is having an issue with what you have, then you need to check with the company to see what their policy is so you can adjust your license accordingly. 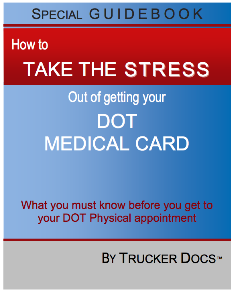 Your dot card is the same thing as a medical certificate. So we are not sure of the question. If you can clarify the question a bit we will try to help. We are a private website, helping drivers as much as possible. We are not affiliated with any federal or state agency. If you cannot get the medical card through by fax, then mail it to the CDL Help Desk address listed in the information above.